Save the edited video to any popular video format. The price range for 4K monitors is falling down from last few months due to release of few incredible 5K monitors. 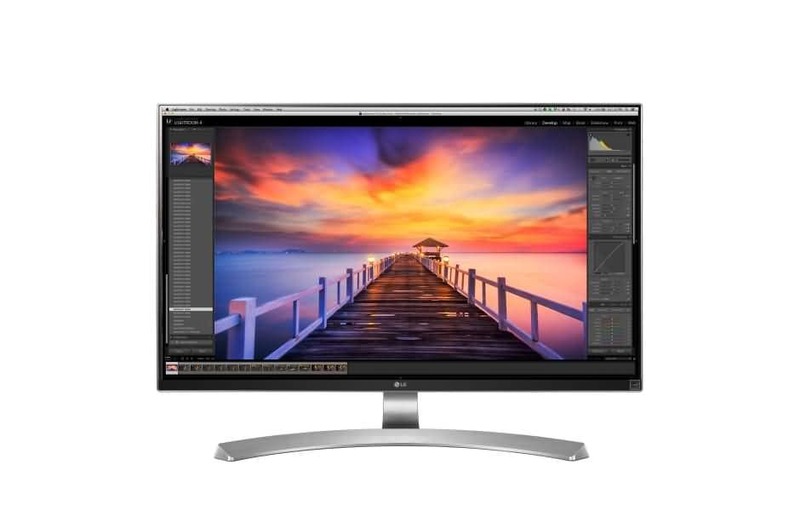 But you can avail great response from these 4K monitors to meet your routine office, gaming or graphic design needs. Here we have collected few facts related to how you must choose a new monitor and further the article will help you to get comparative analysis of top 10 4K monitors available in market for your Macs. Hopefully, this article will help you to make easy decision for your next investment related to 4K monitors for Mac mini, iMac, MacBook Pro, MacBook Air, Mac Pro etc. The details here are described on the basis of top comparison factors like display technologies, price, compatibility etc. In this article, we will share with you about things you need to consider before buying a 4k monitor for Mac as well as some of the best 4K monitors for Mac. There are two common options for connectivity, either you can access thunderbolt or go for HDMI cables. The ThunderBolt connectivity option gives you two connection abilities, either you can try the first generation system or go for advanced 2nd and 3rd generation. Each one of these have different capabilities. The Thunderbolt 1 offers easy connection with DisplayPort 1.1 a and allows maximum video throughput of 8.64 GBPS. ThunderBolt 2 can handle Display Port 1.2 with maximum video throughput ranging up to 17.28 GBPS. Third option is ThunderBolt 3 that has ability to work with 40GBPS throughput. HDMI ports also assist in easy connectivity with MacBook Pro, Mac mini and Mac Pro models. Most of the latest Mac units are designed with HDMI 1.4 connectivity option that can handle 4K Display and Ultra HD Display at 24Hz and 30Hz rating respectively. On the other side, HDMI 2.0 offers 4K display connectivity while handling 60 Hz output. It is also possible to make connections via HDMI cable with supported resolution level of 3840 by 2160 and 4096 by 2160 at 30Hz and 24 Hz respectively. The 4K resolution with 60Hz range is often managed with Multi-Stream Transport technology because this method helps to combine two halves impressively on single larger surface. On the other side with Single Stream Transport option there is no need for stitching. For gamers, it is much better to go ahead with SST technology as it can better handle 4K details with 60Hz range. 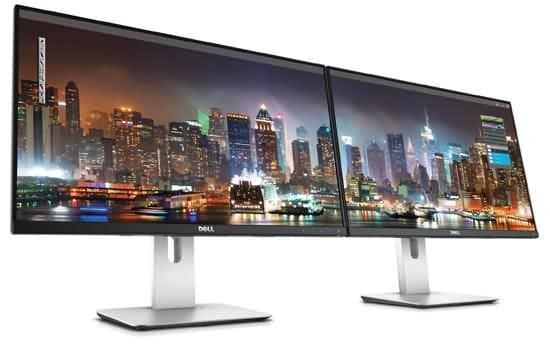 This Dell monitor can handle 3840x2160 resolution level with extended support to 8 million pixels. It helps to generate finer views on screen with smart color sharing. The availability of HDMI port, USB 3.0, mini DisplayPort and DisplayPort makes it suitable for easy connectivity. The viewing angles can be adjusted to 178 degrees whereas 1,07 billions colours are well distributed on screen. The contrast ratio is 2 million to 1 whereas brightness level can be adjusted to 350cd/m2 range. Color accuracy is improved up to 99% with sRGB and preferred response time is 9ms. It is also possible to make daisy chain connectivity via DisplayPorts. 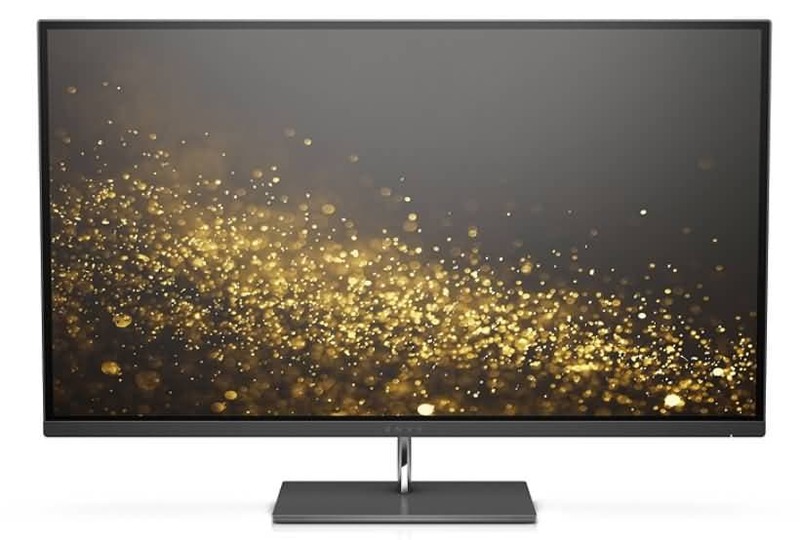 This 16:9 UHD 4K monitor handles all videos and images with added crispness and clarity so that users can enjoy fine details to complete their professional task. Resolution goes up to 3840 by 2160 level where sRGB technology supports 100% color gamut. Incredibly, the response time is rated to be 1ms and AMD FreeSycn technology can make gamers more happy by managing input lags. You can also access Pic-in-Pic technology for enjoying multitasking. The viewing angles are adjusted to be 170 degree/ 160 degree. You can make easy connections to external world via Display Port and HDMI option. Asus has designed stunning 4K monitor with 3840x2160 resolution support and the response time is enhances up to 1ms – definitely a great news for gamers. It can handle 60Hs refresh rate for 4K videos. The color lookup table is of 10 bit with 157 pixels adjusted per inch so that color accuracy can be increased with professional detailing. Other than this, you will be able to find several impressive features like night view, game mode, sRGB technology, theatre mode, darkroom mode and reader mode. Display properties can be easily adjusted for every unique mode. The connectivity options are DisplayPort 1.2 and HDMI 1.4. It is much easier to connect laptop, tablet and smartphones to this monitor via USB 3.0 port and the quick charge technology also allows fast charging facility to compatible devices. Other than this, you can access DisplayPort and HDMI port. The resolution level goes up to 3840 by 2160 whereas sRGB technology handles 99% color accuracy. 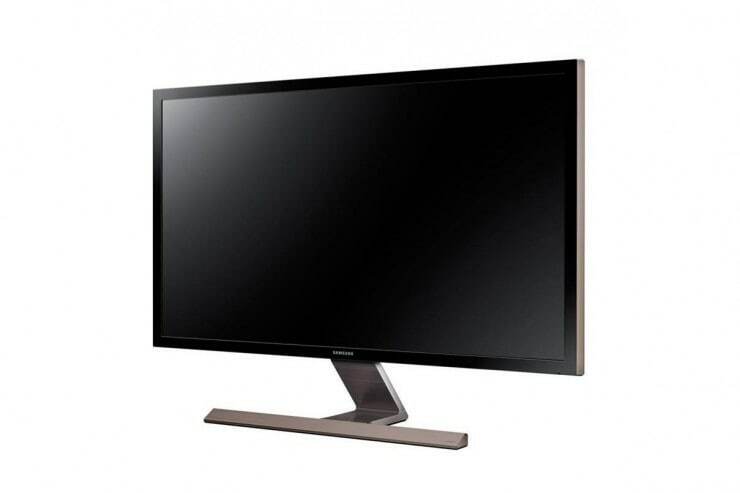 This monitor is also equipped with color calibration and calibration hardware that allows easy adjustments on screen. The fine and easy to handle screen controls provide easy settings for contrast and brightness etc. 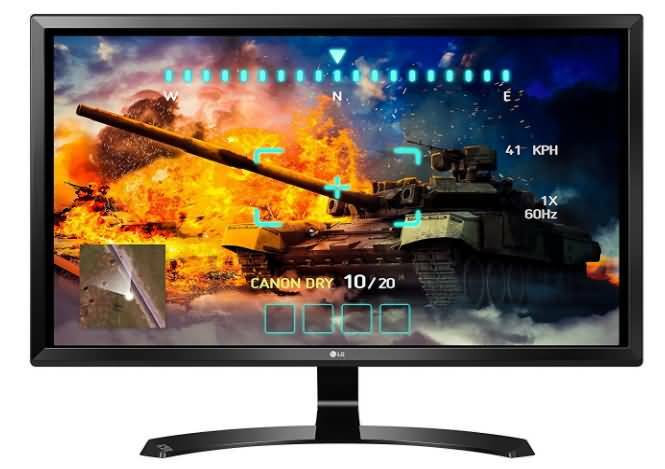 Gamers will love to enjoy this monitor with its FreeSync abilities and the added Black Stabilizer. 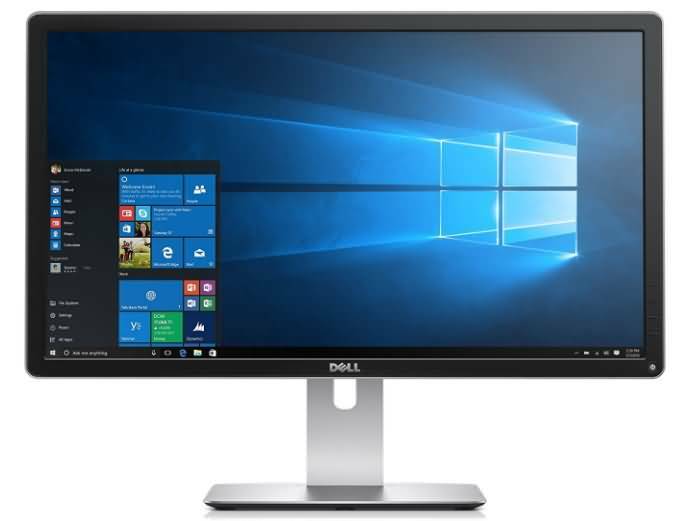 Dell has designed this 23.8” display to offer great functionality. There are wide range of connectivity options including HDMI, DisplayPort, mini DisplayPort and USB 3.0 port where daisy chaining is also allowed to handle tablets and smartphones with ease. The viewing angle is supported with 178 degree rating whereas display screen can handle 1.07 billion colours with higher accuracy. The sRGB technology leads to 99% accuracy and brightness level is adjusted up to 300 cd/m2. You can enjoy 8ms response time on this screen with 2:1 million contrast ratio. Those who are using MacBook model 2016 or later are advised to invest for LG UltarfIne 4K display unit. You can easily power your MAcBook via USB-C port of your monitor. The screen size is 21.5” and it is also compatible with VESA. It can handle more pixels per inch whereas the audio connectivity can be enhanced with stereo speakers available with device. All three USB-C ports can handle 480 Mbps range and allows easy transfer of power, data as well as videos. The resolution goes up to 4096x2304 and the color accuracy is enhanced with its extended support to 9.4 million pixels. You can enjoy impressive viewing angle adjustment and brightness goes up to 500 cd/m2 with fine color range support. If you are searching for a handsome deal that can manage your 4K games with incredible video quality then LG 27UD58 is nice choice for you. 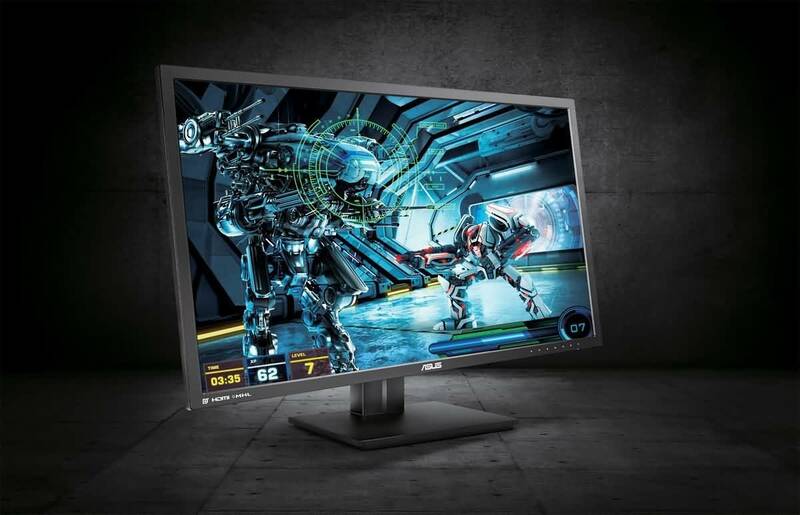 This monitor is designed with IPS technology and can handle 178 degree viewing angle with wide color support. The resolution support is up to 3840 by 2160 and it can manage 8.3 million pixels with crisp details. The color support goes up to 1.07 billion that makes fine adjustments for darker and brighter areas. It possesses FreeSych technology for gamers and response time is 5 ms where graphic cards can be handled with fine and smooth data transfer abilities. 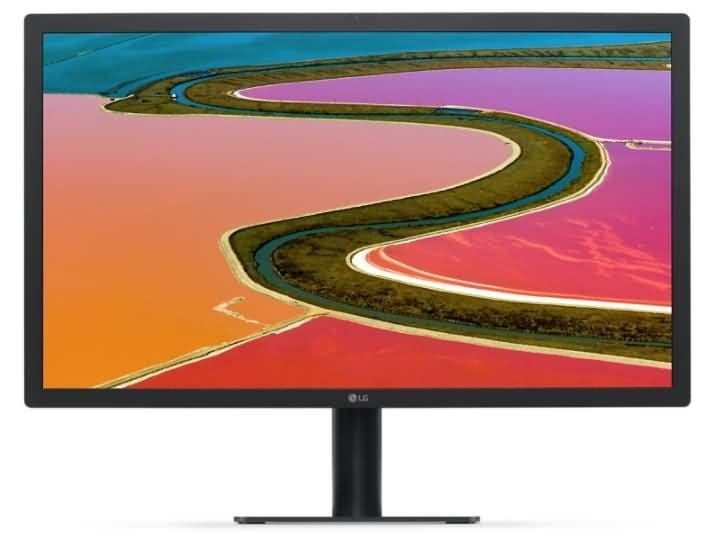 This incredible monitor from Dell features 5K resolution support and display can be connected via 2 DisplayPorts. Other than this it has mini-Display port to support 4K ranges. With IPS panel technology, it becomes able to handle 1.074 billion colours with wider angles. The viewing angle is managed up to 178 degree and featured contrast ratio is 8,000,000: 1 with 8ms response time. Brightness level can be adjusted to 350 cd/m2 and Adobe RGB handles 99% color accuracy with finer details for all red, blue and green appearances. The stand be replaced with VESA and it also provides USB 3.0 based connectivity options. This 27 inch display screen is designed with IPS LED backlight support and the micro edge bezel with its clean design makes it look more elegant. You can use its sturdy Stand as well as can make connection via VESA wall mounting option. It works with 60Hz refresh rate and gamers will love its AMD FreeSync response. It is possible to eliminate the troubles associated with tearing and stuttering. The external port options include HDMI, Display Port and USB-C. This is a low price solution for gamers as its sRGB technology offers 99% accuracy for color gamut and brightness level goes up to 350 cd/m2. 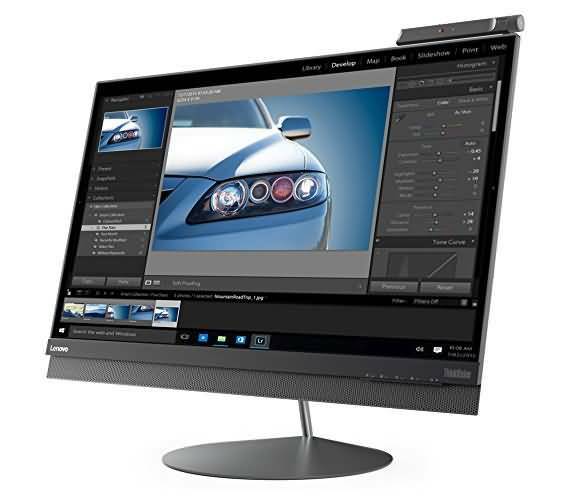 Lenovo has design ThinkVision X1 with lots of impressive features that suits best for most of professional applications. It can handle billions of vibrant colours with incredible distribution. ThinkVision offers better support to multi mode camera, speakers, borderless screen. It’s Built in type FHD camera also assists in enhancement of VoIP collaboration. 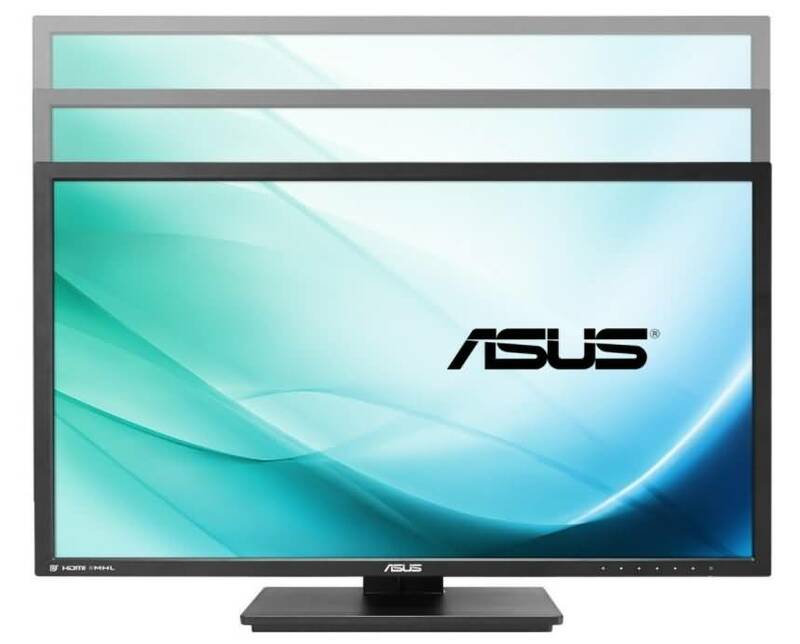 You will have wide connectivity options with its Display Port, USB and HDMI port. The aspect ratio is 16:9, brightness rating is 300cd/m2 and viewing angle goes up to 178 degrees with fine support to color information up to edges. Recommend: Use Filmora scrn Screen Recorder Software to record your gaming and edit your gaming video easily. It can record up to 120 FPS and record the gaming screen and the webcam simultaneously. Download Filmora Scrn to check its features by your own. If you need to edit videos on your Mac, you will need a video editing software which supports 4K as well. We recommend you to edit 4K videos with Wondershare Filmora9 video editor. With the new release version 9 of Filmora video editor, you can now preview the 4K videos in full quality and edit it with the real-time rendering which provides better editing experience as well.